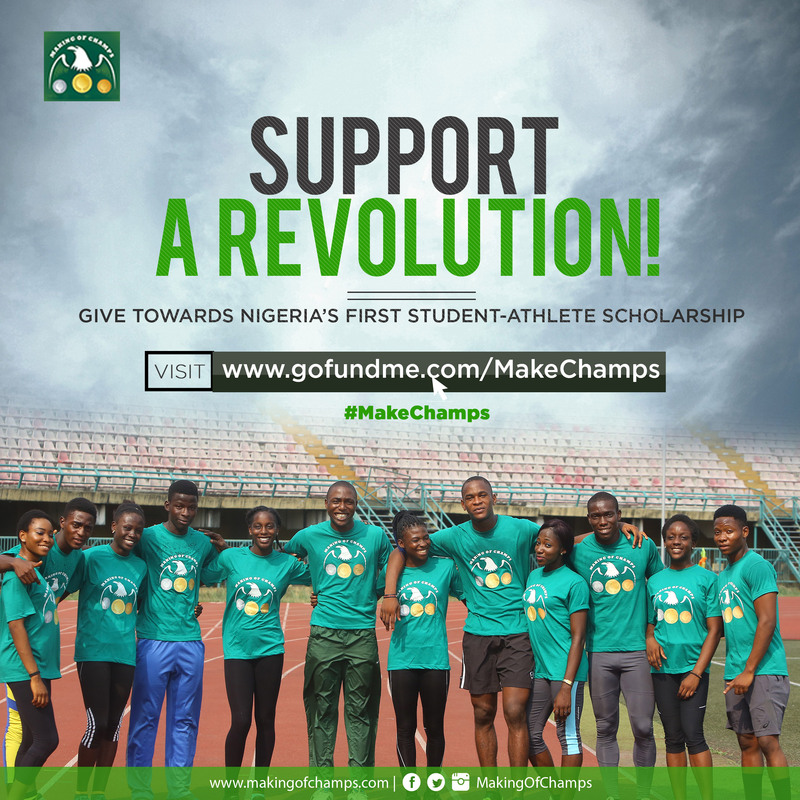 Every year in Nigerian Athletics, there are athletes who rise to the occasion and make their presence count on the big stage with some great performances during the season. Athletics has always welcomed such talents. As the calendar turns another page to 2019, who will the spotlight shine on this year? 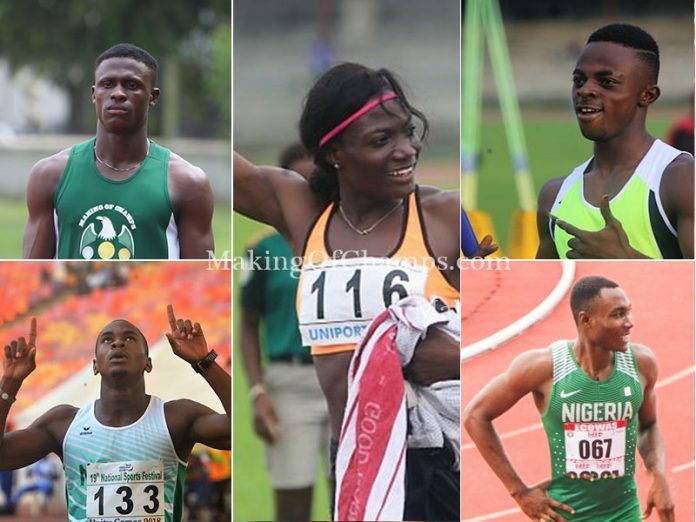 In this article, we are going to take a look at five Nigerian sprinters that can rise to the occasion on the local scene, or better still, go on to represent Nigeria at major competitions this year. Becoming a quatermiler takes a great deal of effort, and with professional athletes needing to at least run inside 45s to get a guaranteed spot in the final of a major international competition, it gets a lot harder for a Nigerian athlete, knowing fully well that the last time a Nigerian athlete did, was over three years ago, which was Orukpe Erayokan. Cue in Emmanuel Ojeli. 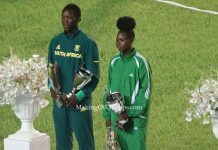 The youngster has had a remarkable rise in the Athletics scenery since he started running at major competitions just over a year ago. 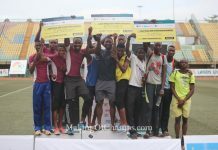 Joining Making of Champions (MoC) Track Club in the summer of last year, and with Olympic Bronze medallist, Deji Aliu as his coach, Ojeli has managed to shave off over 1.5s from his previous Personal Best (PB), ending his season by running inside 47s for the first time in his career, at the National Sport Festival (NSF), to end his season on a high. One of his biggest highlights in 2018 came at the MoC Grand Prix and Relays in June where he upset more established athletes to win in 47.47s, shaving almost 0.30s from his previous PB at the time. 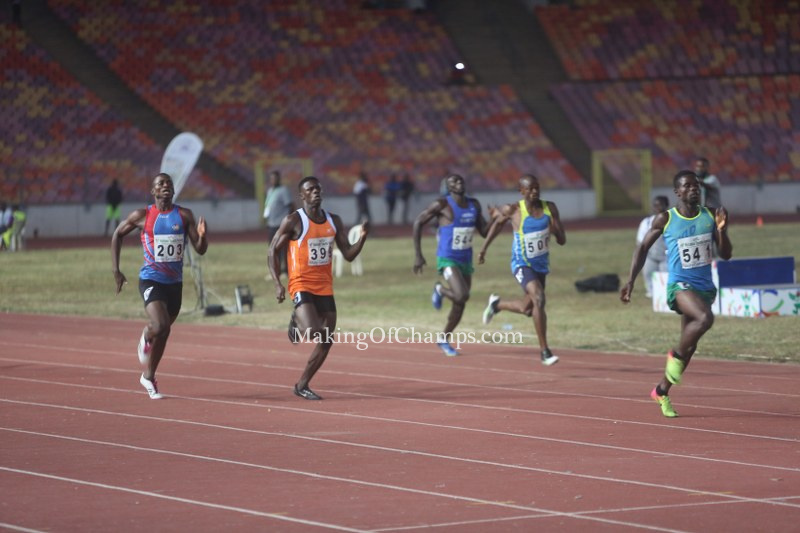 He followed that up with another 47.74s clocking at the AFN Golden League in Ozoro. He represented Team Lagos at the festival and blazed to a new PB of 46.98s to finish behind Erayokan in the semis, before going on to claime Bronze for the state in the final. Having identified Wayde Van Niekerk as his role model, few would bet against him one day becoming similarly prominent. 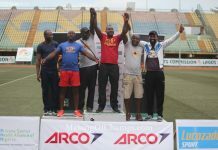 Akintola Alaba’s name began to ring bells after he did the 100m/200m double at the 2017 National Youth Games (NYG) in Ilorin. However, the 2018 season was a defining year for him. 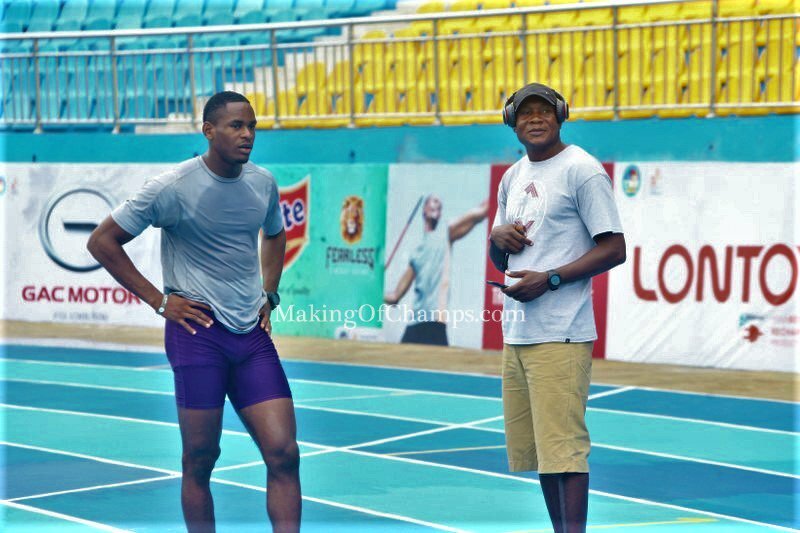 Earlier this year, Alaba competed at the Commonwealth Games Trials in Abuja where he got to the semis. Explosive and dynamic from the start, Alaba is blessed with a good drive phase, making him very adept in the shorter sprints. 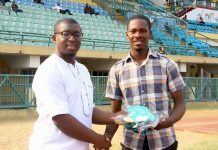 After he won the National Junior 100m title in June, the Federal University of Akure (FUTA) undergraduate placed 3rd at the ECOWAS U20 Championships in Cape Coast. Alaba followed that performance with a Silver medal at the 2018 African Youth Games (AYG), clocking a windy 10.37s in the process. However, the apex of his season came at the Youth Olympics in Buenos Aires where he claimed Silver in the final of the 100m in a wind-aided time of 10.24s. Also, Alaba represented his school at the West Africa University Games (WAUG), wining GOLD in the 200m and Silver in the 100m. He ended 2018 by finishing 6th in the men’s 100m final in Abuja where he clocked 10.44s. Going by his performance in 2018, Alaba seems destined for greater things. 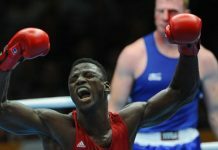 Only the brave or foolhardy would bet against him not going on to represent Nigeria at a major competition next year. If you are a current student or alumni of the University of Lagos (UNILAG), chances are you’ve heard of the name Iya Moria. Well, it’s the name of the owner of a popular food joint in one of the female hostels in the school. However, what most people don’t know is that her real name is Moria Yakubu. Mrs. Yakubu might have mastered the art of cooking, but she also has a daughter that is gradually becoming a force to reckon with in sprinting. Her name is Balikis Yakubu. Little was known of Yakubu until she made a splash at WAUG, which took place in Port Harcourt in 2018. 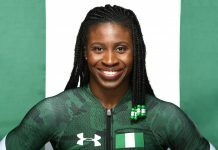 Indeed, she wasn’t tipped as a likely medallist, but the sprinter nearly caused an upset in the final of the women’s 100m, placing 2nd behind African Championship Bronze medallist, Joy Udo-Gabriel. She clocked a time of 11.65s. What followed next for the 400L Human Kinetics and Health Education student was special. Unlike the 100m where she had to claw her way to win Silver, this time around, Yakubu was in control of the race from start to finish, holding on to win the 200m for her school in a new PB of 23.92s, before winning Silver in the 4x100m. Yakubu followed up those performances with a good outing at the NSF where she represented Team Lagos. Although she placed sixth in the final, she was still able to lower her PB in the semis, clocking 11.58s. Despite the growing competition in the women’s sprinting on the local scene, Yakubu has shown that she can hold her own when it matters. She sure is one sprinter to watch out for in 2019. Like Ojeli, Shedrach Akpeki has had a remarkable rise while competing in the men’s 400m in the last one year. On his part, he was able to shave off almost two seconds from his previous PB within that period. 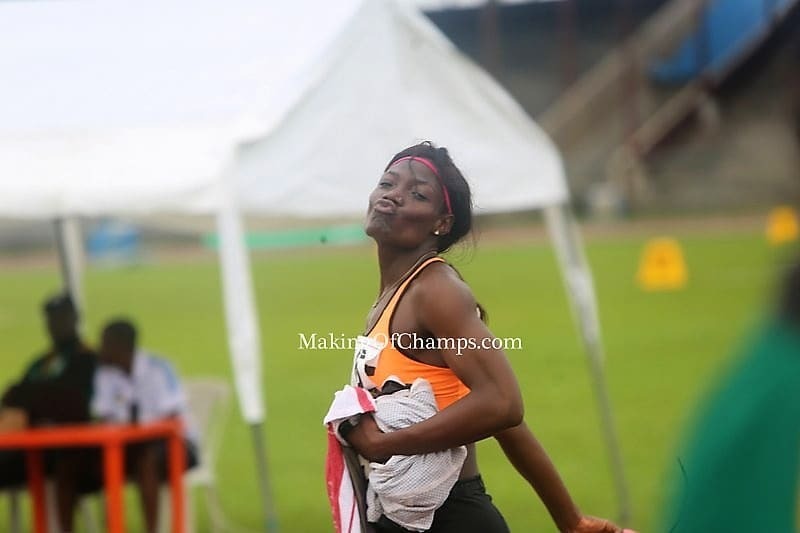 Akpeki was a finalist at the Commonwealth Games Trials, clocking 48.17s. 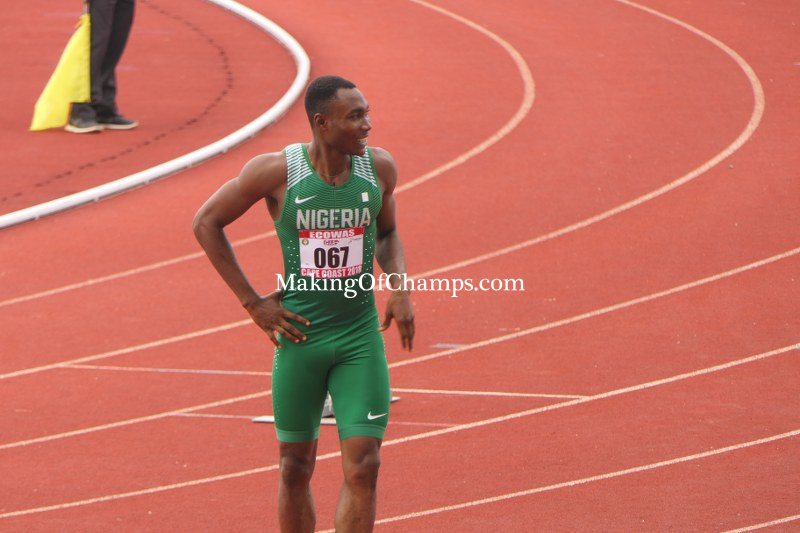 However, he was able to keep a level head at the National Junior Championships in Ozoro where he placed 2nd with a time of 47.63s behind Nsikak Francis in 47.58. 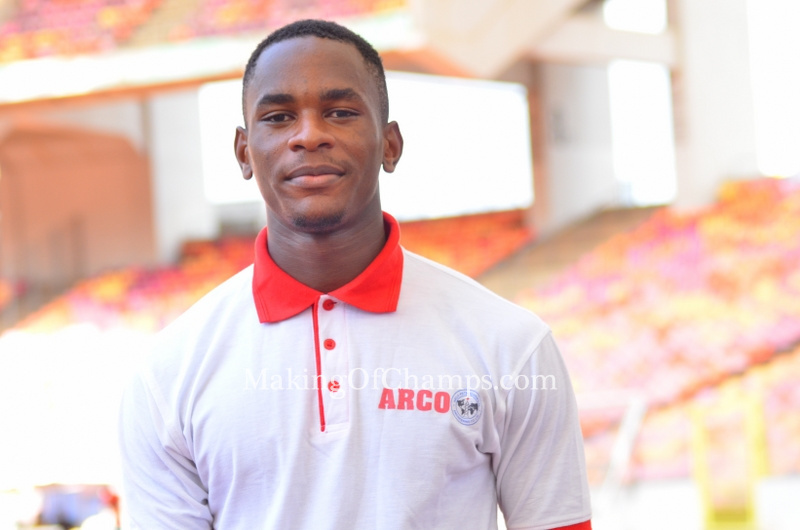 At the ECOWAS U20 Championships in Cape Coast, Akpeki was in great form and exerted revenge on Francis who had to relinquish the GOLD medal in the men’s 400m final, clocking a time of 47.25s. He teamed up with Francis, David Olowookere and Alaba Akintola to win Silver in the 4x400m. 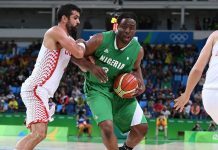 Coming home, Akpeki was on a mission to end the year on a bright note. 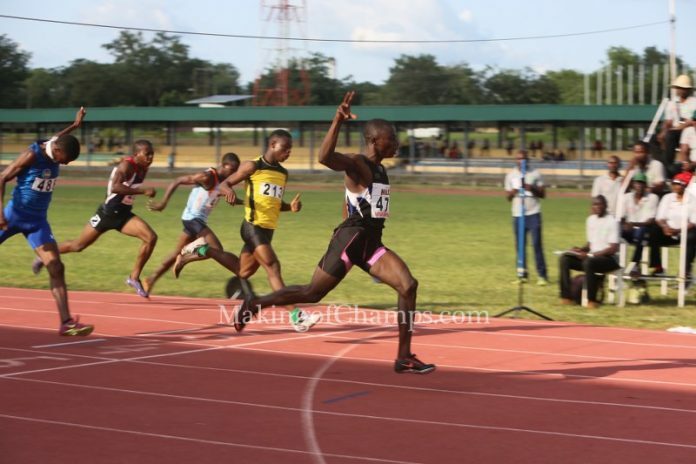 Representing Akwa Ibom at the NSF, he shattered his PB twice in the space of two days. 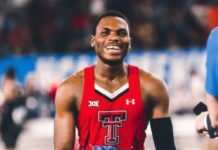 Akpeki clocked a time of 47.19s in the semis, and as if that wasn’t enough, he went one better in the final, running to a new lifetime’s best of of 46.78s to claim Silver for his state. 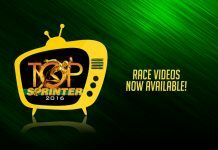 He also ran a brilliant anchor leg in the Mixed 4x100m relay to strike GOLD for Akwa Ibom State. Going by his impressive results in Abuja, there is every reason to believe that he will surpass his achievements of 2018, and even get to represent Nigeria on the bigger stage, all things being equal. Jerry Jakpa has lurked like a lion at a drinking hole for two seasons, reaffirming his ability by winning one of the semis at the NSF few weeks back, dominating more established athletes to clock a new PB of 10.32s. At 20, Jakpa is perfectly poised to pounce, ranked No 5 in the Nigerian scenery and is certainly making a headway under the guidance of Deji Aliu. If any of the young contenders is going to disturb the elite crop of athletes, Jakpa is at the head of a short but eager queue. 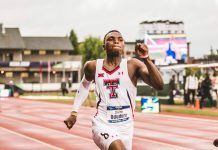 One of the highlights of his 2018 season came at the MoC Grand Prix and Relays in June when he raced to a windy 10.25s to finish behind Emmanuel Arowolo, while also clocking 21.13s to place 2nd in the final. 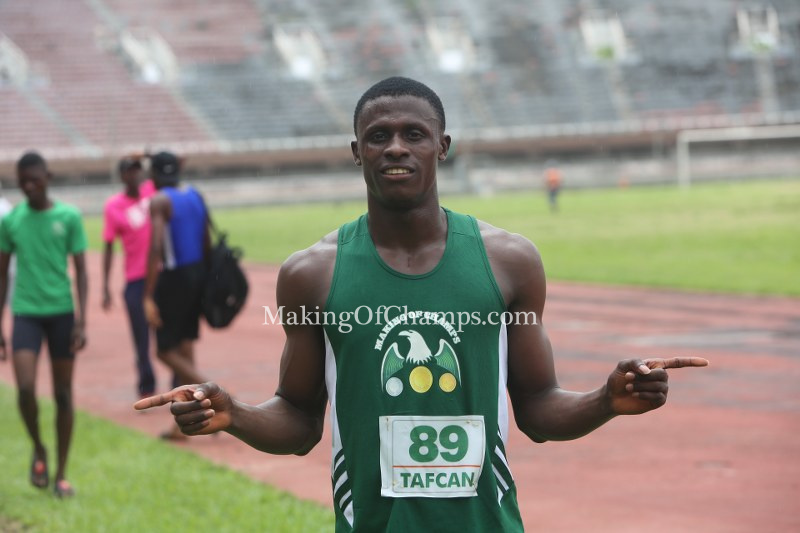 Although he missed out on Nigeria’s team to the Commonwealth Games, Jakpa still made his full international debut for Nigeria at the African Championships in Asaba, setting a new Lifetime Best of 20.87s in his heat. After about three months of inaction, Jakpa went into the NSF, all guns blazing. The Delta State-born athlete competed for Bayelsa, and after winning his heat and semis, narrowly missed out on a medal in the final when he placed 4th with a 10.34s clocking. Jakpa has personality to go with his talent, and his straight-talking has already livened up a sport grateful for the unparalleled excellence of the past dozen years and more, but hungry for change and new energy.